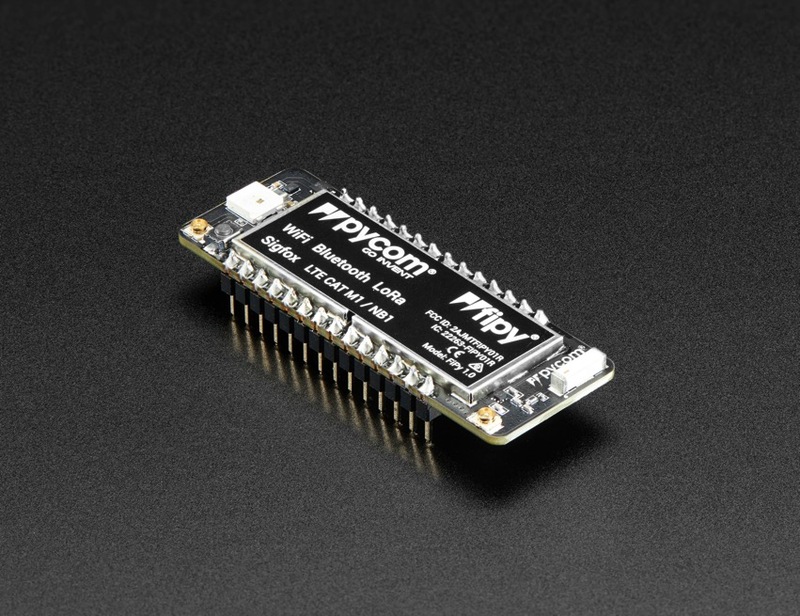 NEW PRODUCTS – Pycom FiPy / Pycom LTE-M Cellular Antenna « Adafruit Industries – Makers, hackers, artists, designers and engineers! Some things just go together, like peanut butter and jelly, or macaroni and cheese, or Shepard and Vakarian— wait— getting distracted from all the IoT! 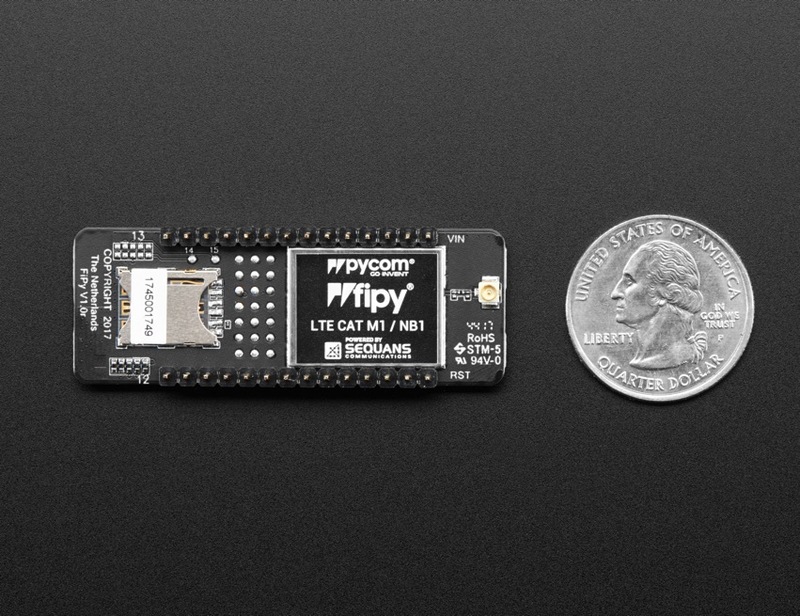 Here are two things that really go well together: Pycom’s FiPy and its connectivity add-on, the LTE-M Cellular Antenna! Some of us just can’t make up our minds: just deciding what to have for dinner is a major decision process. We want it all! And now we can have it all, with this python-powered internet-of-things powerhouse. It’s like getting to have pizza AND sushi AND tacos AND casserole AND a burger for dinner, wow! 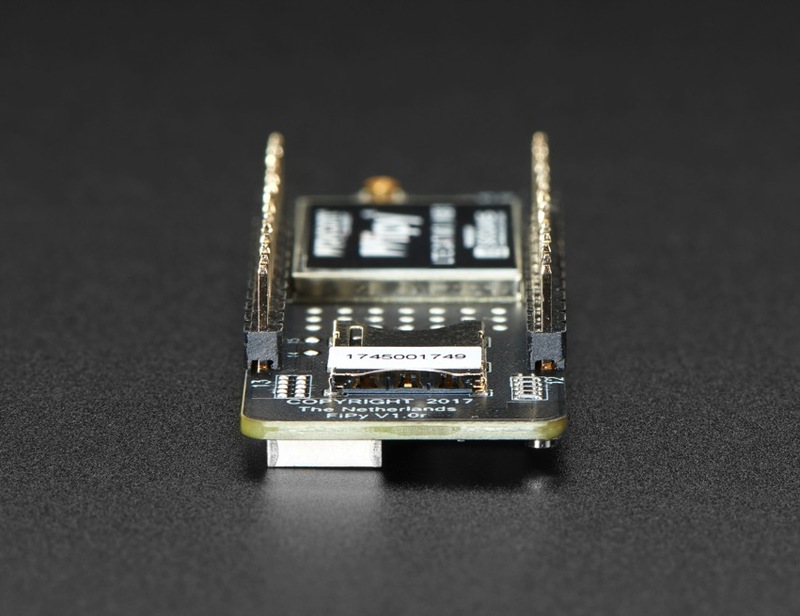 Imagine five networks in one perfectly-formed, same-small-foot-print-as-WiPy- LoPy-and SiPy, IoT development board. MicroPython enabled. 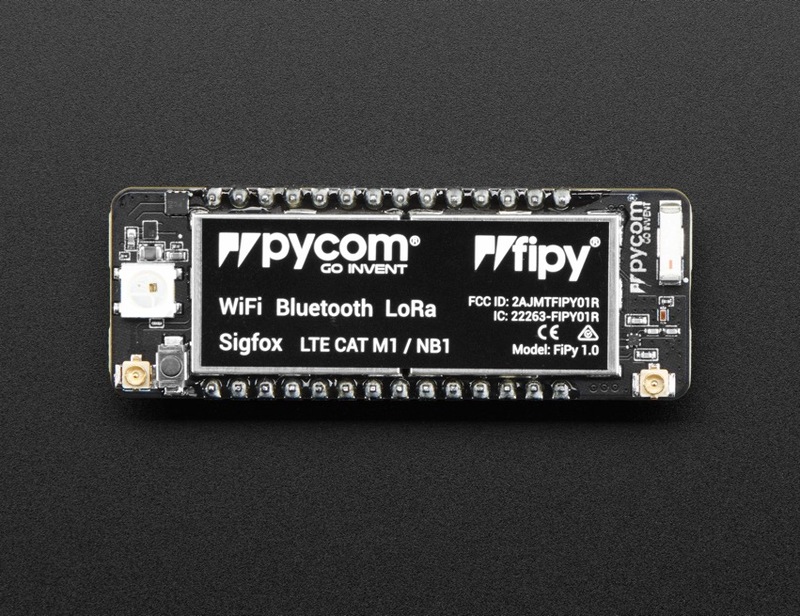 FiPy includes WiFi, Bluetooth LE, LoRa, Sigfox and dual LTE-M (CAT M1 and NBIoT). 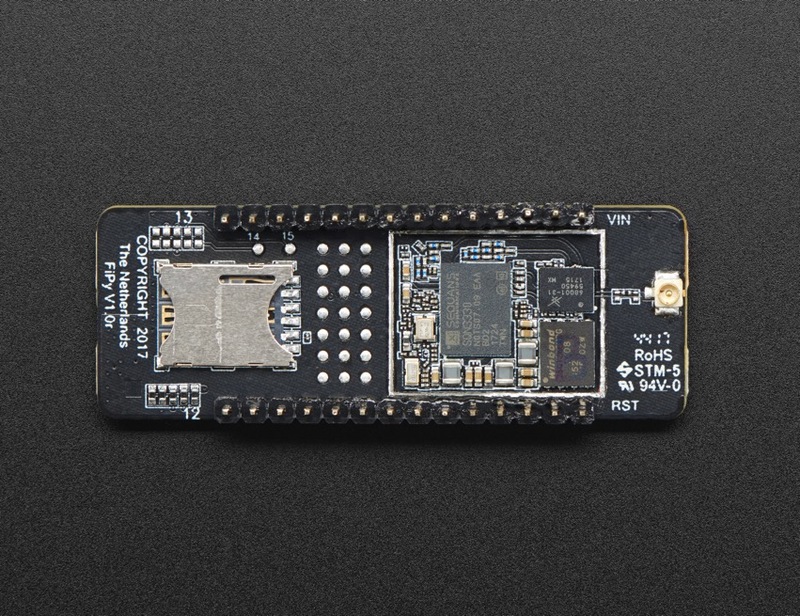 That means you never have to pick-and-choose your IoT transport ever again – the FiPy gives access to all the world’s LPWAN networks on one bitty board. Comes with just the dev board. 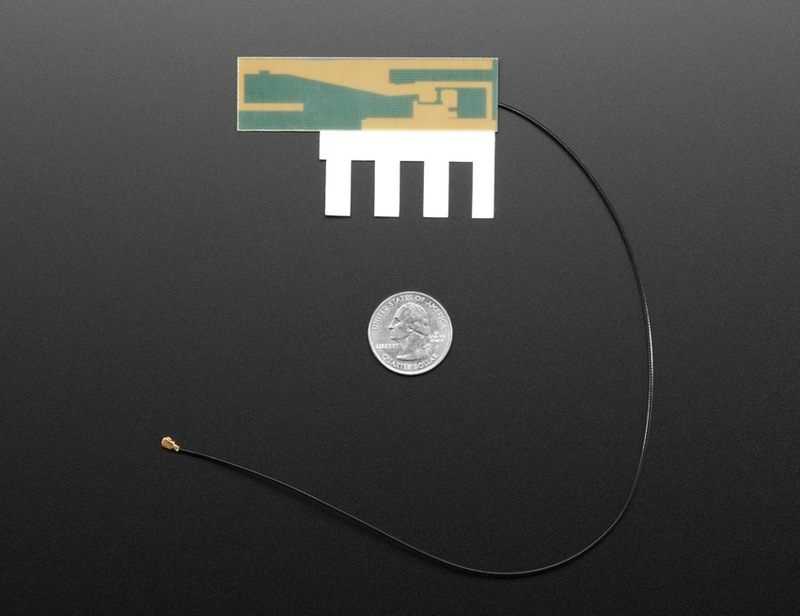 You’ll need an antenna for each transport you want to use other than WiFi/BLE (which has a ceramic antenna built in). Using a transport without an antenna can damage the board! For LTE you’ll also need a SIM card with data that can go on an LTE network. 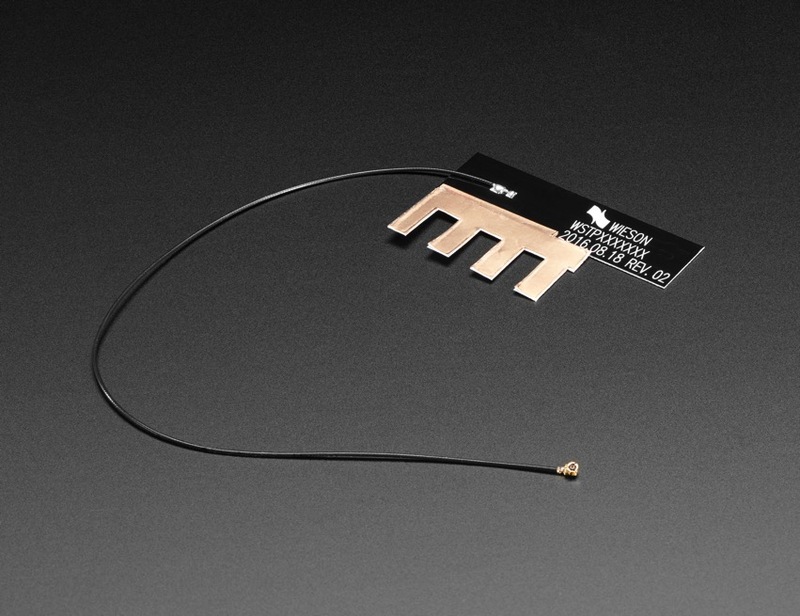 This antenna is a perfect addition to your cellular project with LTE connectivity. 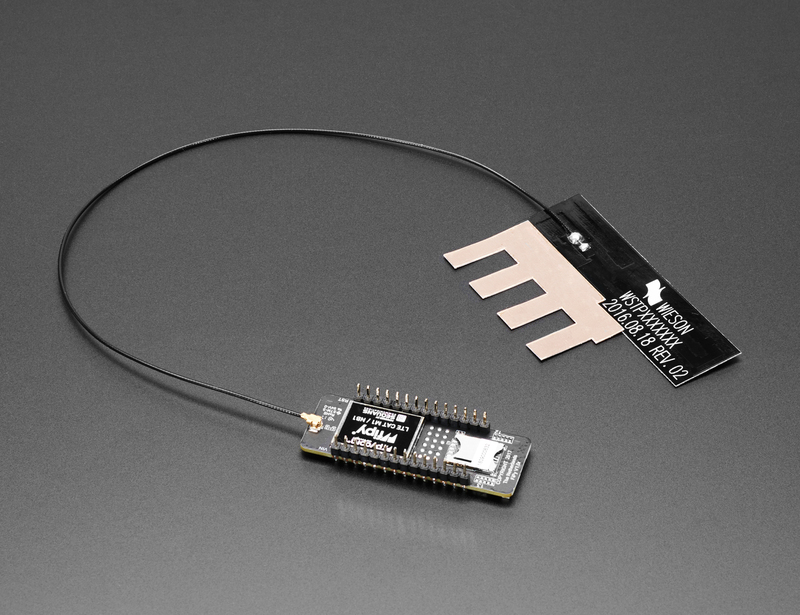 It’s specifically intended for use with the Pycom LTE-powered kits but it’s just a passive antenna so you can pair it with any dev board you like, as long as it has a uFL connector. 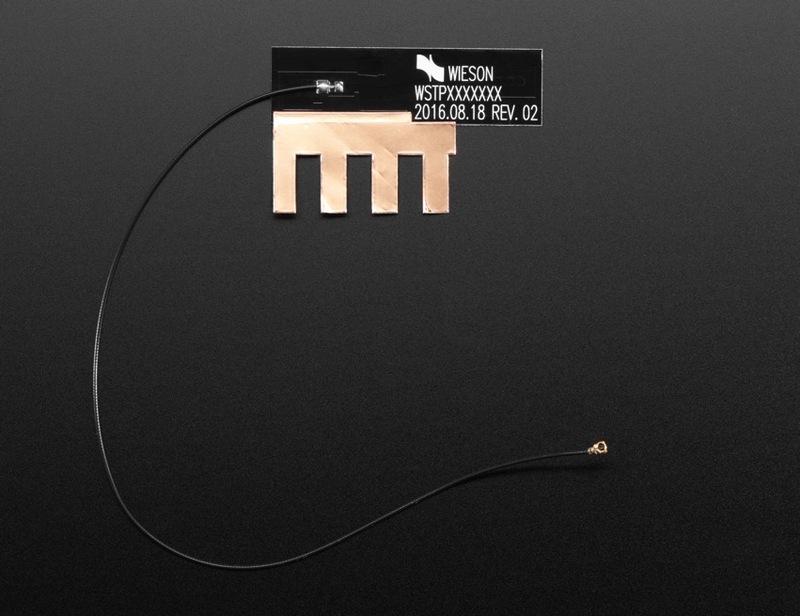 Comes with a flexible copper grounding sticker, you can use to provide a nice big ground plane!